The Lynsey Ann Welsh Award for innovation in NIR spectroscopy is a feature of the ANISG Conference. This award is made to an Australian presenter of an oral paper or poster which is judged to most closely fit the award criteria. 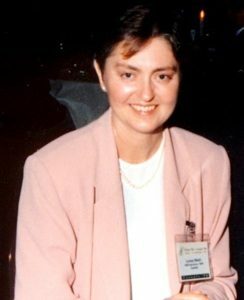 The award is in memory of the late Lynsey Welsh, who contributed enormously to the work of ANISG, particularly the 6th International NIR Conference held at Lorne, Victoria in 1994.